The leaves are changing and fall is in the air. Why not celebrate in German style with a hearty Oktoberfest feast? 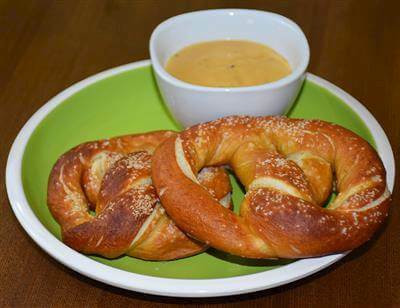 Start out with a traditional appetizer of homemade pretzels with beer cheese. Once you see how easy it is to make your own scrumptious pretzels, you will wonder why you ever bought them at the supermarket. 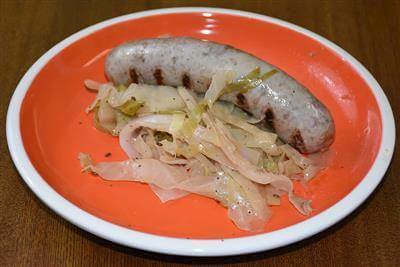 Grill some brats and top them with homemade quick sauerkraut and a savory homemade whole grain spicy mustard. Assorted pungent mustards such as mustard powder, black and yellow mustard beg for other strong flavors for balance. 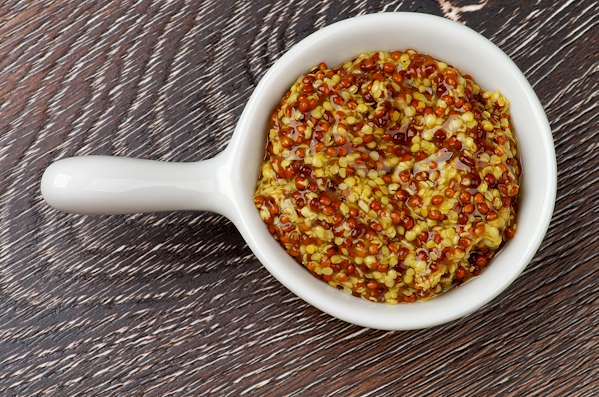 Here, we do the trick with apple cider vinegar, garlic, cinnamon, allspice, tarragon, and turmeric in this German-style mustard recipe. Serve this condiment with your favorite sausages or other grilled meats. The soft, aromatic pretzels are lightly salted and tender delicious. 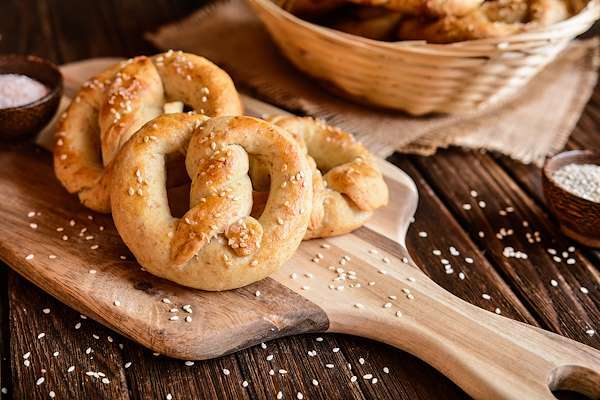 Serve these homemade soft pretzels warm in an old-fashioned way with a bowl of zesty mustard or our Beer Cheese.